Valerie Worthington just released her first e-book, “How to Love a Grappler”. 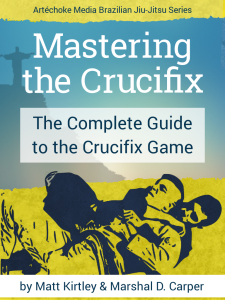 You can download a free copy here. For the uninitiated, Val is a black belt in the jiu-jitsu braintrust Groundswell Grappling Concepts, alongside Emily Kwok, Hannette Staack, and Lola Newsom. GGC is well known for its women’s grappling camps. Val’s story is a remarkable one that really kicks off when she suddenly quits her successful-but-unfulfilling career and sells off her condo to become a road tripping BJJ nomad. She’s got more than enough firsthand experience attempting to explain her obsession with BJJ to her confused loved ones. 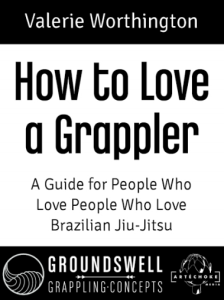 “How to Love a Grappler” is Val’s way of helping you talk to your friends and family about “that karate or whatever you do” (as your grandma puts it). I recommend sending a copy to your partner or family member who doesn’t get why you go out of your way to get beat up by sweaty strangers all the time.